Last year, the government agreed an initial order for 596 carriages with Agility Trains, a consortium of Hitachi and British firm John Laing. In a statement, Transport Secretary Patrick McLoughlin said: "This new order for class 800 series trains is part of the government's commitment to invest in our nation's infrastructure". Thursday's order is part of Britain's £5.8bn programme, launched in 2005, to replace the nation's ageing stock of trains. 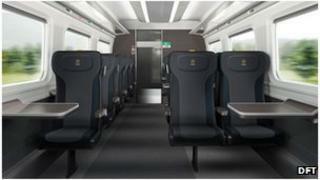 In total the new fleet will comprise 122 complete train sets and will have more seats and wider aisles than older models.